Pork is a healthy alternative to other meats. Pork is mostly made up of protein. The protein content of lean, cooked pork is around 26% by fresh weight. By dry weight, the protein content of lean pork can be as high as 89%, making it one of the richest dietary sources of protein. Catfish offers a variety of health benefits. Catfish has a high protein/amino acid profile. 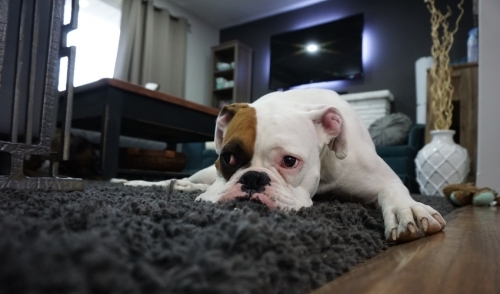 Amino acids contained in protein are responsible for many processes in the dog’s body, including maintenance of smooth workflow and digestion. 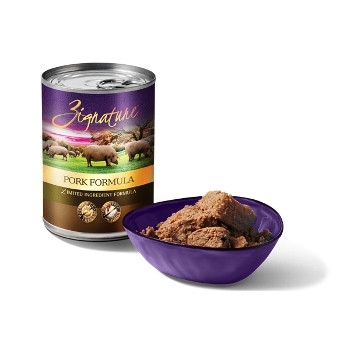 Zssential’s multi-source protein recipe is made from turkey and turkey meal from the American Midwest, salmon from the west coast, duck meal from France, and lamb meal from New Zealand. Made with farm-raised Turkey from the American Midwest. 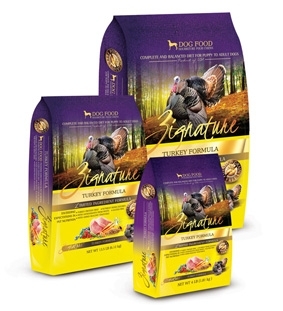 A natural source of prey in the wild, Turkey is an exceptional source of complete protein that’s low in saturated fat, rich in Selenium, and a good source of Riboflavin and Phosphorus. Our nutritionally correct ratio of fruits and vegetables rounds out the recipe with powerful anti-oxidants, and fiber-rich low glycemic carbohydrates. 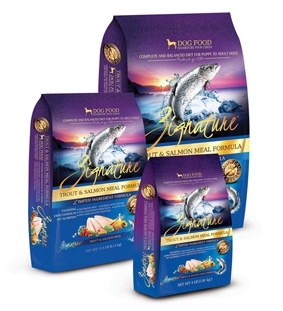 Made with Trout from the cold waters of the Pacific coast of the USA, and backed by U.S. Salmon Meal. Trout provides a high-quality source of complete protein loaded with essential heart-healthy Omega-3 Fatty Acids, is rich in Vitamin B12, and provides Niacin, B6, Phosphorus and Selenium. Our nutritionally correct ratio of fruits and vegetables rounds out the recipe with powerful antioxidants, and fiber-rich low glycemic carbohydrates. 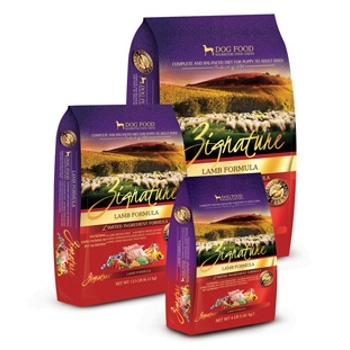 Made with Lamb from the farmlands of New Zealand. 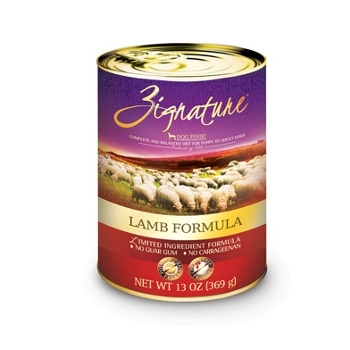 A staple source of complete protein, Lamb provides Vitamin B6, Pantothenic Acid, Phosphorus and Manganese, and is rich in Vitamin A and B12, Riboflavin, Niacin, Iron, Zinc, Copper and Selenium. Our nutritionally correct ratio of fruits and vegetables rounds out the recipe with powerful antioxidants, and fiber-rich low glycemic carbohydrates. 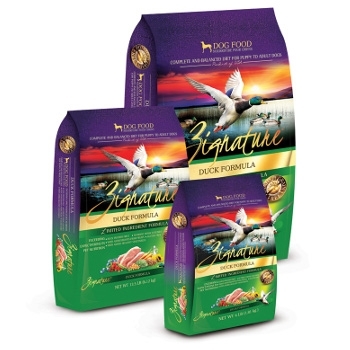 Made with farm-raised Duck from the farmlands of Western France. 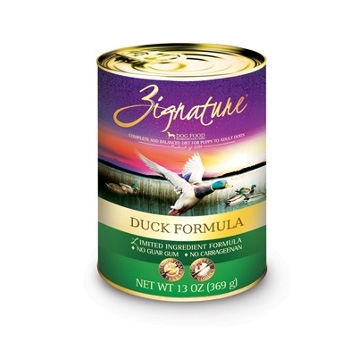 A natural source of prey in the wild, Duck provides a flavorful source of complete protein, often well tolerated by pets with food sensitivities. 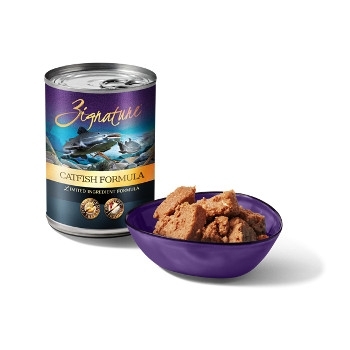 It’s high in essential Omega-3 Fatty Acids, Iron, Phosphorus, Zinc and Selenium, and low in sodium. Our nutritionally correct ratio of fruits and vegetables rounds out the recipe with powerful antioxidants, and fiber-rich low glycemic carbohydrates. Sizes Available: 4 lbs, 13.5 lbs, 27 lbs. 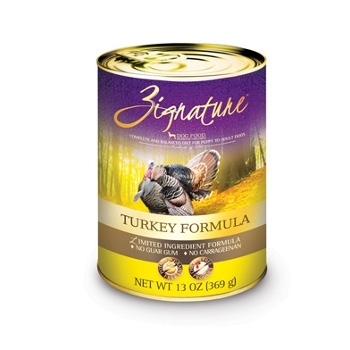 Zssential’s Multi-Source Protein recipe is made from Turkey and Turkey Meal from the American Midwest, Salmon from the Northwest, Duck Meal from France, and Lamb Meal from New Zealand. 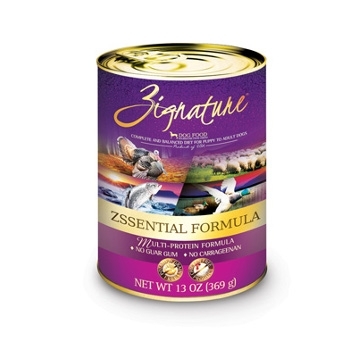 Zssential is exceptionally high in protein, low in saturated fat, and is loaded with heart-friendly essential Omega-3 Fatty Acids, Vitamin B12 and Selenium, while being a good source of Riboflavin, Thiamin, Niacin and Phosphorus. Our nutritionally correct ratio of fruits and vegetables rounds out the recipe with powerful antioxidants, and fiber-rich low glycemic carbohydrates. 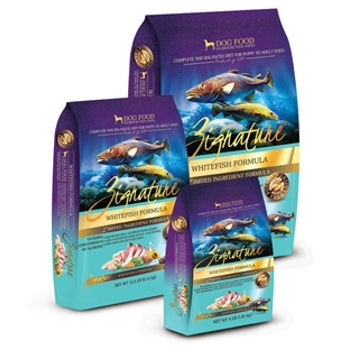 Made with Whitefish from the Pacific waters of Oregon, Washington and Alaska, fish is a high-quality source of complete protein, naturally low in sodium, and rich with essential heart-friendly Omega-3 Fatty Acids, Vitamins B6 and B12, Niacin, Phosphorus and Selenium. Our nutritionally correct ratio of fruits and vegetables rounds out the recipe with powerful antioxidants, and fiber-rich low glycemic carbohydrates. Made with farm-raised Turkey from the American Midwest. A natural source of prey in the wild, Turkey is an exceptional source of complete protein that’s low in saturated fat, rich in Selenium, and a good source of Riboflavin and Phosphorus. Our nutritionally correct ratio of fruits and vegetables rounds out the recipe with powerful antioxidants, and fiber-rich low glycemic carbohydrates. Made with Trout and Salmon from the cold waters of the Northwestern USA. 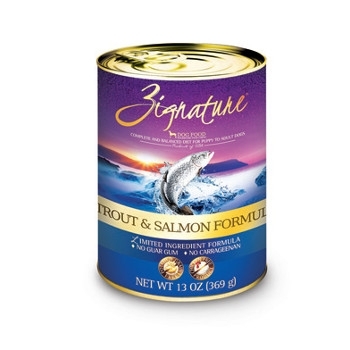 Trout provides a high-quality source of complete protein loaded with essential heart-friendly Omega-3 Fatty Acids, is rich in Vitamin B12, and provides Niacin, B6, Phosphorus and Selenium. 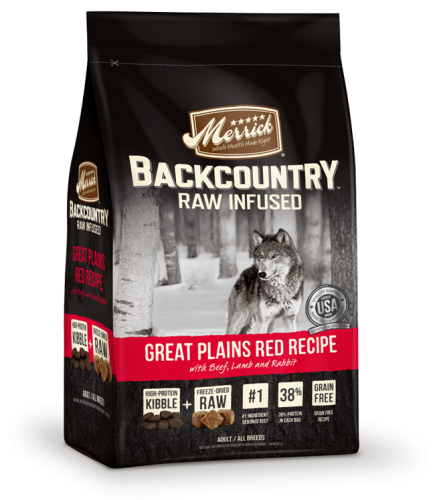 Our nutritionally correct ratio of fruits and vegetables rounds out the recipe with powerful antioxidants, and fiber-rich low glycemic carbohydrates. Made with quality Kangaroo meat from Australia. Kangaroo is an exceptional source of complete protein, with virtually no saturated fat. It contains nearly twice the Vitamin B12 as other meats, and is rich in Iron, essential Omega-3 Fatty Acids, other B Vitamins, and Conjugated Linoleic Acid (CLA). 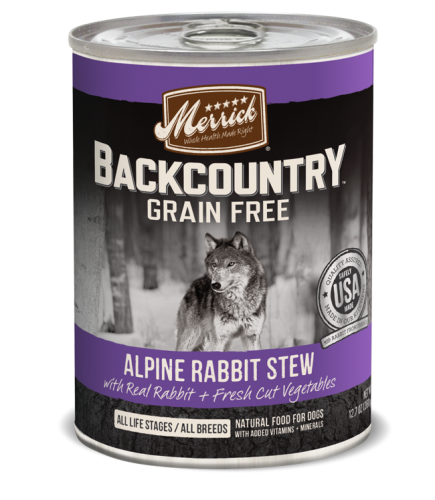 Our nutritionally correct ratio of vegetables rounds out the recipe with powerful antioxidants, and fiber-rich low glycemic carbohydrates. Merrick Backcountry is an all-natural grain-free ancestral canine diet packed with protein that dogs crave. Made in the USA in Merrick's own Safe Quality Food Level 3 organically certiified kitchens. No ingredients from China.